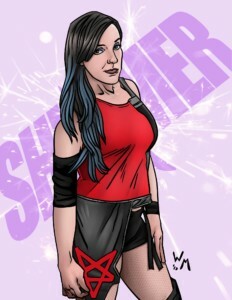 The 5th Editions of CZW and SHIMMER Coming Later This Fall! The indie revolution continues at Filsinger Games! 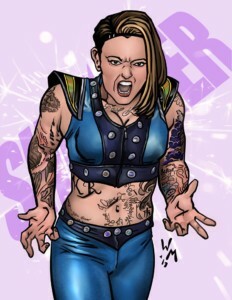 Coming in early November is the 5th edition of two of our popular independent wrestling franchises, Combat Zone Wrestling and Shimmer Women Athletes. Each of these expansion packs will feature 8 cards and will be mostly wrestlers new to Filsinger Games. In addition our October Promoter Prime release will feature 2 women from WSU that can be used in either your CZW fed or Shimmer fed! Keep an eye out each Monday in October for teasers on who will be in these awesome new game editions. 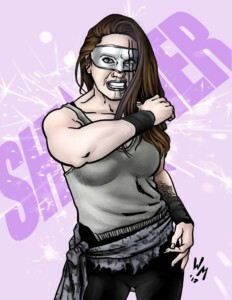 The cards will also be available at CZW Hot Buzz on November 4th and the Shimmer tapings November 11-12.